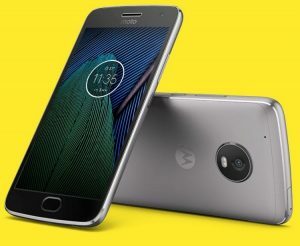 Motorola Moto G5 Plus is the bigger variant to the Moto G5 from Motorola and it comes with a 5.2-inch display, and a Qualcomm Snapdragon 625 chipset powers the phone. There is also a 12-megapixel camera on the back of the phone with the F/1.7 aperture. The device runs Android Nougat out of the box and there is a lot packed in, including 64GB storage in both the devices, and the premium features like NFC, fingerprint scanner, etc. are included as well. Check below for the full phone specifications, rating of the Motorola Moto G5 Plus smartphone.